There have been interracial relationships in Angola since the early days of Portuguese colonalization, resulting in the ‘mestiços,’ or ‘mulatos’; mixed race people. Angola is said to have the largest non-English-speaking mestiço community in Africa, even though they constitute only between 2% and 3% of Angola’s estimated population of 21 million. The European population is said to have never surpassed 1%. In Luanda, mestiços can be seen everywhere, especially in high positions within companies and in the city’s priciest clubs and restaurants. The paper presents both the institutional background and the government philosophy regarding equality and non-prejudice within all of the territories under Portuguese sovereignty in the 1940s and 1950s, as well as tests carried out to discover if the decision to marry and racial homogamy could be considered independent variables, using annual data from statistical yearbooks relating to the colonies. The conclusions demonstrate the existence of a social prejudice towards inter-racial marriage. The paper supports the belief that social divisions based on ethnicity must be included as part of the explanation for decolonization and independence. In the last phase of the Portuguese empire (1930s-1974/5), the government’s political philosophy in relation to the colonial territories was based on considerable propaganda about the respectful relationship between the Portuguese and other peoples in their colonies. It is the aim of this study to describe the official Portuguese literature on these issues and check its accuracy for interpreting social interaction through marriage in the Portuguese colonial territories of the period. In political speeches, Portugal was presented as a vast and great nation. Its domains and sovereignty spread over a vast range of territory and were distributed across all the continents of the planet. This was a supreme achievement, according to J. M. da Silva Cunha, one of Salazar’s Secretaries of State, later appointed Overseas Minister: “Providence led Portugal to the mission of bringing all the peoples of Europe and other continents together, taking to them the Christian message, along with European civilization”. Official speeches usually presented Portugal as an honorable nation that had set sail from Portuguese coasts to discover the whole world. This heritage was still present in the Portuguese empire, made up of a mainland territory in Western Europe, four archipelagoes in the Atlantic (the Madeira Islands, Azores, Cape Verde and São Tomé and Príncipe), Angola and Mozambique on the African continent, several territories in India, a special pearl close to China, namely Macau, and the territory of East Timor in the Pacific Ocean. So, Portuguese territory was comprised of several provinces, beginning in the northern mainland province of Minho (near Spanish Galicia) and reaching all the way to the antipodes, in Timor. Also, according to the language of its government, the Portuguese people were a cohesive nation, speaking the same language (Portuguese), sharing the same faith (Christianity), working under the same political rule (the Portuguese administration), and taking pride in the same flag (the Portuguese flag), which was flown in all of the national territory on every continent. There were no ethnic conflicts: “We arrived where we are now, more than five centuries ago, to spread Christianity and to remain”. School children were taught that all Portuguese were equal. Whatever might be their birth, their geographical origin, or the color of their skin, they were all equal. As Cunha (1964) puts it: “So, from the beginning we considered Africans as our equals, in this way eliminating all racial discrimination”. The Portuguese culture was a single culture, it was said. Even considering that local conditions might be different, the official ideology always stressed that, although they might differ, there were no superior or inferior cultures. Miscegenation was to be the rule, as nineteenth-century literature accused Portugal of a weakness in terms of colonization, which stemmed from miscegenation: “(…) specialist literature of the nineteenth century and the beginning of the twentieth (…) accused us of a colonizing disability (as was said at the time), because we could not preserve the purity of our race”. So, the Portuguese nation, according to the government, was a multi-continental, multi-racial unit based on a Portuguese identity of high moral and political standards: “Portugal will continue to remain integral, with her own features of a State and multi-continental Nation, made up of the most varied ethnicities”.8 Even scholars and academics shared a good deal of this vision. According to Boxer (1961), “It is to the credit of Portugal (…) that she made no distinction of race and color and that all her subjects, once they had become Catholics, were eligible for official posts.” Despite abandoning the thesis of a shared religious faith, a Portuguese professor of economics at the Technical University of Lisbon was to write in an academic work: “We have created throughout five centuries the most extraordinary multi-racial, national community of all times, in which merit comes from the value of the human being and not from the color of the skin. (…) Historically and currently, the Portuguese nation is, as a consequence, a mosaic of multi-continental, multi-racial populations with religious diversity”. Sometimes a “civilization-bas” argument was added, and contradictions about the “non-superior character” of some cultures appeared: “While the Portuguese policy for human relationships in the overseas territories is impressive because of the vastness of the territories in which it applies, it is even more impressive because of its purpose of transforming aborigines into Portuguese, as Portuguese as anyone born in mainland Portugal, as it is high moral and social standards that lead them to Lusitanity, and to complete integration in the Nation”. Did such honorable official aims result in a social cohesion that could be expressed in terms of statistical categories or indicators? Did territorial discontinuities encapsulate different societies, with different literacy levels and prejudice? Was this philosophy confirmed in terms of race relationships, inter-racial marriage and miscegenation? Is it possible to find such a Lusitanity expressed in attitudes towards marriage that lie hidden in the data of registered marriages recording different colored skins throughout the empire? It is a fact that Portugal had one of the most far-reaching colonial empires in world history and that the Portuguese had a reputation for particularly integrative and intimate relations with the indigenous groups that were colonized. In order to unify all of the territories under the same legal rules, to endow them with the same status, and to prove that they were considered as a homogeneous territory, each of the colonies was designated a province, an institutional status that was introduced in the constitutional reform of 1951. In this new institutional framework, overseas provinces and mainland provinces were partners in the same empire. However, did this predominant official discourse reflect the truth? Can we believe in this perspective for the Portuguese colonial empire in the period after the Second World War? The aim of this paper is to test the accuracy of the language used in official political speeches during these decades, by observing how different kinds of local cultural cleavages led to different social experiences of marriage in the various territories. As far as culture, education and ethnicity are concerned, interracial marriage and miscegenation were two important aspects to be observed in Portuguese colonial territories. This paper observes that social and color differences can help to explain how there was a racial prejudice in the Portuguese Empire that must be recognized as yet one more factor helping to explain the success of the colonial wars for independence. There is a long bibliography on the period, dating from the creation of the Estado Novo to the independence of the territories that were previously under Portuguese sovereignty (1920s-30s to 1974-75). However, most of the contributions are devoted to imperial, political or economic aspects, and even those studies devoted to analyzing the colonial philosophy, social prejudice and social cleavages do not approach the aspects of inter-racial marriage in a quantitative way.15 A recent work (Matos, 2006) is quite exhaustive in dealing with questions of racial representations and color from the 16th century to the 1970s, although it follows an anthropological approach and does not use any consistency checks. Events such as the 1820 Liberal Revolution in Portugal and the 1822 declaration of independence in Brazil appeared to the Creole elite based in the coastal centers of Portuguese West Africa as the prelude to a new socio-political order. 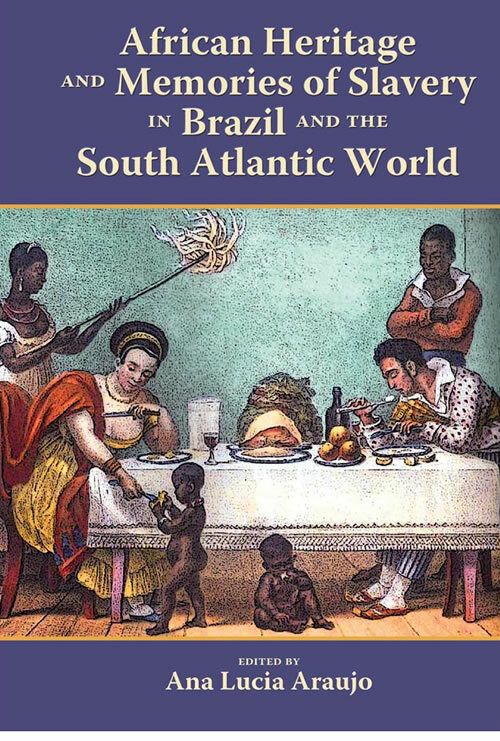 Moreover, the arrival of hundreds of political refugees and convicts in Angola—from Brazil as well as from Europe—during the decade of 1820-30 helped considerably in spreading revolutionary ideas on that side of the Atlantic Ocean, fueling the hopes and aspirations of a society in which individuals or families were exposed to sudden and at times unpredictable alterations of their social status—often more than once in a lifetime, as the cases of Arsénio Pompílio Pompeude Carpo and Joaquim António de Carvalho e Meneses would seem to confirm. This paper focuses on these two paradigmatic figures who embodied the discontent that spread among Luanda and Benguela traders and who confronted the authorities as nobody else dared to do in order to defend the interests of a Euro-African elite that, already during the first half of the 19th century, was struggling for more power and was progressively assuming an attitude suggestive of some kind of economic nationalism. During the first half of the 19th century, Angolan society was characterized by the presence of a semi-urbanized commercial and administrative elite of Portuguese-speaking Creole families – white, black, some of mixed race, some Catholic and others Protestant, some long-established and others cosmopolitan—who were mainly based in the coastal towns of Luanda and Benguela. As well as their wealth, derived from the functions that they performed in the colonial administrative, commercial and customs apparatus, their European-influenced culture and habits clearly distinguished them from the broad population of black African peasants and farm workers. In order to expand its control over the region, Portugal desperately needed the support of this kind of non-colonizing urban elite, which was also used as an assimilating force, or better as a source for the dissemination of a relevant model of social behavior. Thus, great Creole merchants and inland chiefs dealt in captive slaves, bound for export to Brazil: the tribal aristocracy and the Creole bourgeoisie thrived on the profits of overseas trade and used them to live in style, consuming large quantities of imported alcoholic beverages and wearing fashionable European clothes. The suppression of the slave trade, however, put an end to this situation of mutual advantage and altered forever more the relationship between colonizers and the so-called sons of the country. In order to understand and contextualize the specificity of the subsequent opposition to the colonial regime put forward by the local Creole elite, it is necessary to retrace the events which unfolded in the Portuguese-speaking world during the 19th century, taking into account different moments of rupture or external influences, together with the most important channels of cultural dissemination of the time. It has to be recognized that the cultural identity of this particular social group strongly relied on metropolitan or Brazilian models in both their forms and contents, but it would be superficial to claim that the cultural imaginary formed in Angola during this period of time totally lacked any original or peculiar features. On the other hand, how could people’s ways of thinking fail to be influenced by the ideological origins of the revolutions that had been taking place in Europe and America since the late 18th century? Events such as the 1820 Liberal Revolution in Portugal and the 1822 declaration of independence in Brazil appeared as the prelude to a new socio-political order and the arrival of hundreds of political refugees and convicts during the decade of 1820-30, from Brazil as well as from Europe, considerably helped in spreading revolutionary ideas. 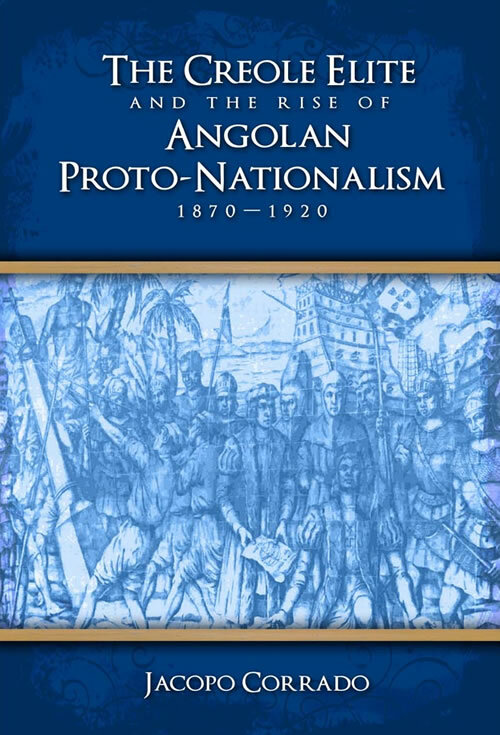 The political debate was fueled by journals and pamphlets mainly originating in Brazil but, on the other hand, the most conservative aspects of Portuguese liberalism were strongly and officially emphasized in Angola because of the constant fear of a possible social and political uprising. As a matter of fact, the two personalities to whom this article is dedicated suffered systematic persecution at the hands of the Portuguese authorities and their tormented lives are evidence of the trials awaiting those who decided to assume a critical attitude towards the colonial establishment. On the one hand, we have a former convict born on the periphery of the empire, who had adventurously managed to climb the social ladder and become a serious threat to the establishment. On the other hand, we have the scion of a noble Luanda family who, thanks to the education received in Europe and his long-term experience in diverse fields of colonial administration, breathed life into a revolutionary project that sought to achieve progressive autonomy for his country. Arsénio de Carpo’s life and Carvalho e Meneses’ work perfectly represent both the spirit of the Creole elite and all its contradictions, providing a privileged starting point for better understanding and contextualizing it, focusing our attention on a society in which family, business or social links acquired a special value. In mid-19th century Angola, a good deal or a good position, for instance, often depended on these links, and individuals or families were exposed to sudden, and at times unpredictable, alterations of their social status.This often occurred more than once in a lifetime, as the cases of Arsénio Pompílio Pompeude Carpo and Joaquim António de Carvalho e Meneses would seem to confirm…. This book is about Angolan literature and culture. It investigates a segment of Angolan history and literature, with which even Portuguese-speaking readers are generally not familiar. Its main purpose is to define the features and the literary production of the so-called ‘creole elite’, as well as its contribution to the early manifestations of dissatisfaction towards colonial rule patent during a period of renewed Portuguese commitment to its African colonies, but also of unrealised ambitions, economic crisis, and socio-political upheaval in Angola and in Portugal itself. Nineteenth-century Angolan society was characterised by the presence of a semi-urbanised commercial and administrative elite of Portuguese-speaking creole families––white, black, some of mixed race, some Catholic and others Protestant, some old established and others cosmopolitan––who were based in the main coastal towns. 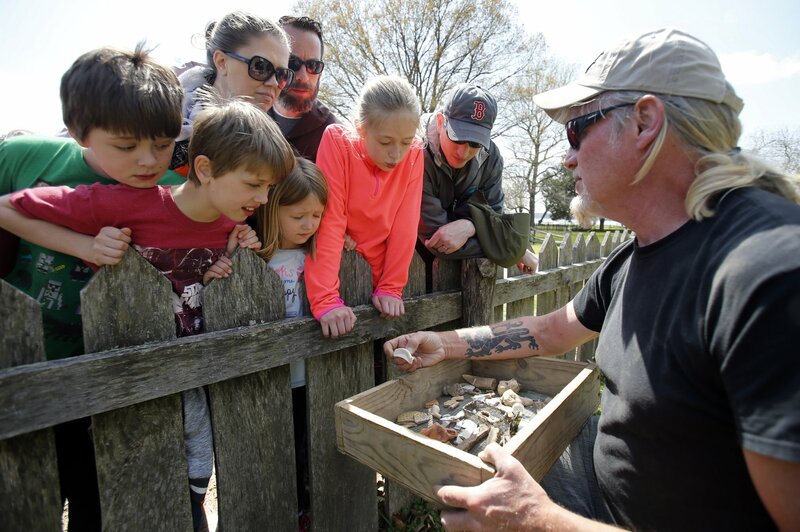 As well as their wealth, derived from the functions performed in the colonial administrative, commercial and customs apparatus, their European-influenced culture and habits clearly distinguished them from the broad native population of black peasants and farm workers. In order to expand its control over the region, Portugal desperately needed the support of this kind of non-coloniser urban elite, which was also used as an assimilating force, or better as a source of dissemination of a relevant model of social behaviour. Thus, until the 1850s great creole merchants and inland chiefs dealt in captive slaves, bound for export to Brazil via Cape Verde and São Tomé: the tribal aristocracy and the creole bourgeoisie thrived on the profits of overseas trade and lived in style, consuming imported alcoholic beverages and wearing European clothes. After the abolition, however, their social and economic position was eroded by an influx of petty merchants and bureaucrats from Portugal who wished to grasp the commercial and employment opportunities created by a new and modern colonial order, anxious to keep up with other European colonial powers engaged in the partition of the African continent. This book thus considers the first intellectuals, the early printed publications in the country, and the pioneers of Angolan literature who felt the need to raise their roots to higher dignity. Thus, they wrote grammar, dictionaries, poetry, fiction, and of course, incendiary articles denouncing exploitation, racism, and the different treatment afforded by the colonial authorities to Portuguese expatriates and natives.